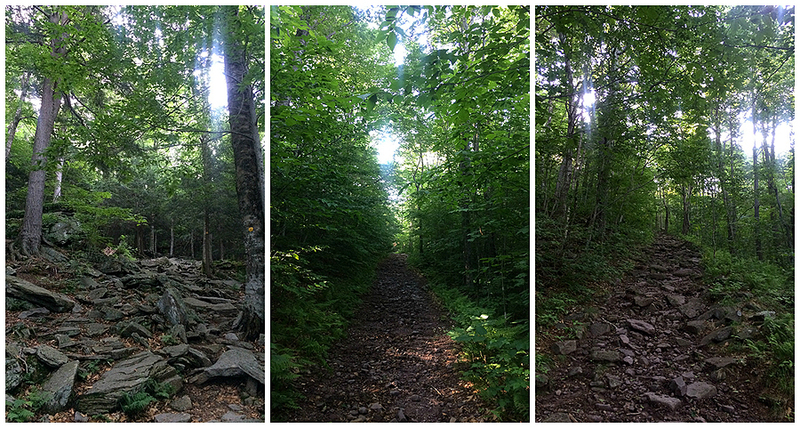 - On Thursday morning I got up at an ungodly hour to drive from RI over to NY to hike Slide Mountain in the Catskills. 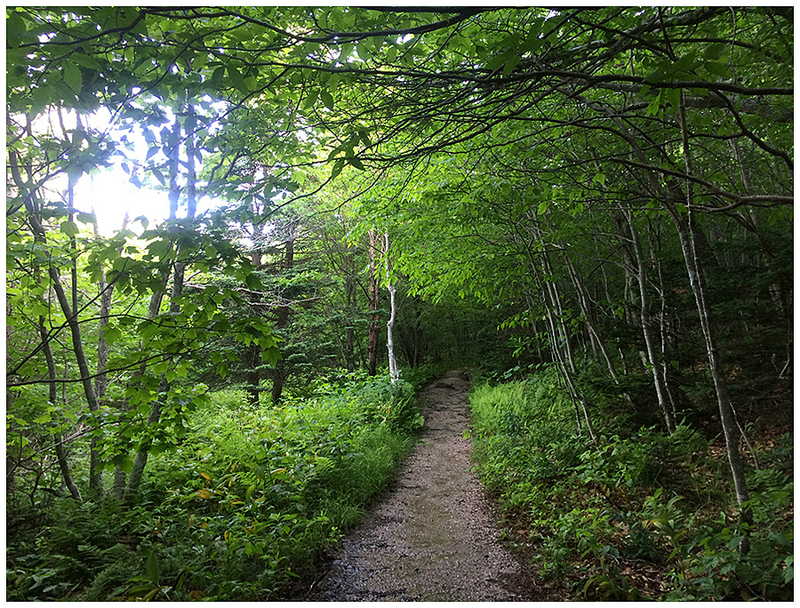 The reason for this early bird gets the worm hike was two fold, One, I wanted to hike it before 9am so I could hop on my laptop and work, and two, I had never hiked Slide Mountain and it was one of five peaks remaining for my Northeast 115 highest mountains. 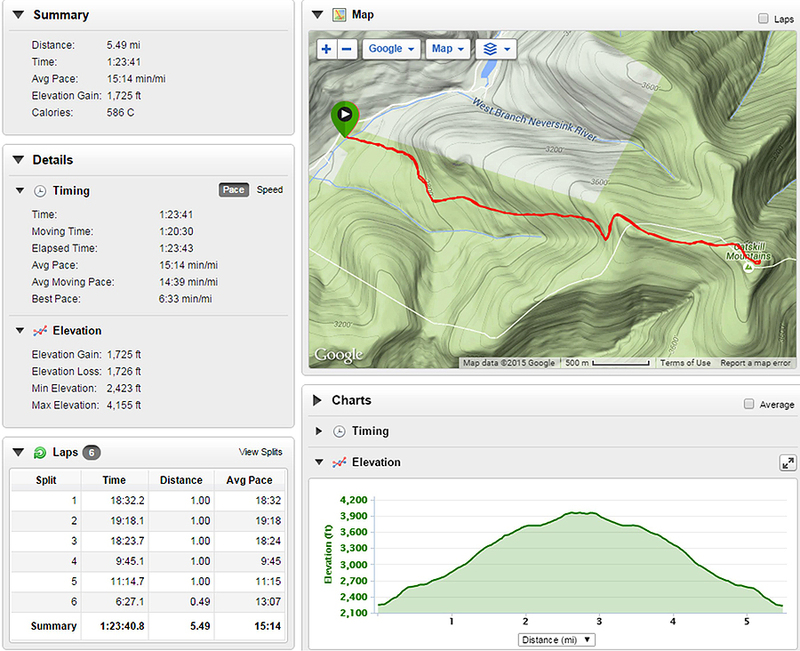 - There's not much to say about this hike other than the first mile and a half has two rocky spots and muddy spots. This is followed by a lovely last mile of very easy grades and phenomenal footing over the old fire wardens road that lead to a fire tower, which was dismantled in the mid 1960's. 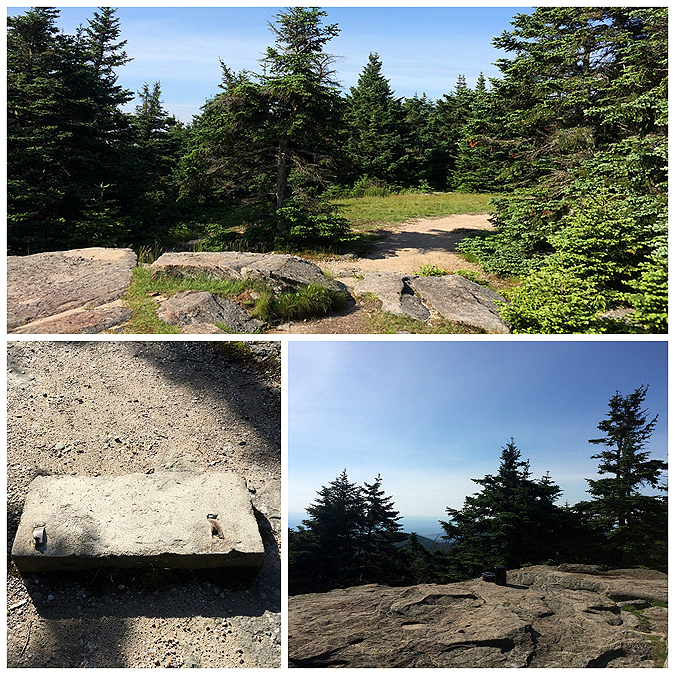 - There were some ok outlooks near the summit, I could see the ridge that makes up the Devil's Path but other than that there wasn't too much for views. 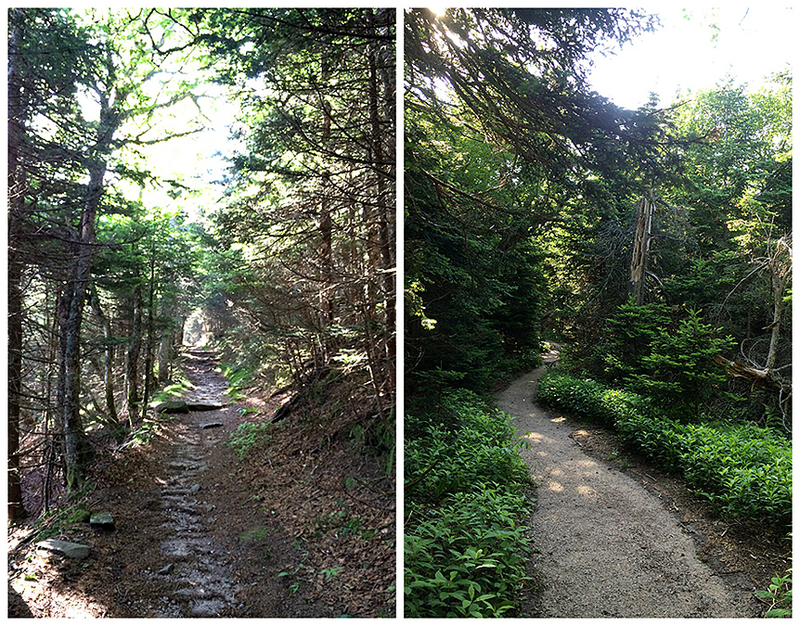 - It was a really nice early morning hike and I'm sure I will be back one day years from now. I now only have four peaks left for the 115 (or 111). These lists have weird numbers, it's still referred to by many as 111 even though there are 115 peaks. 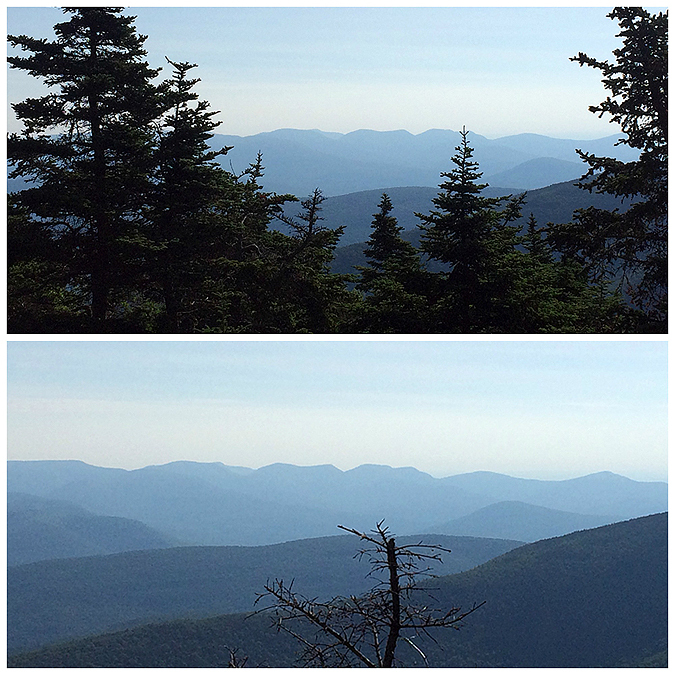 The peaks I have left are in Maine; Saddleback and the Horn plus the two Bigelows. I should have them done this summer or fall but I'm not in any hurry since I have had over 100 completed on this list since 2011! You probably already know this, but just in case you don't, the discrepancy between 111/115 is because of the four Adirondack 46er peaks that aren't actually 4,000 Footers but were believed to be when Bob Marshall, his brother George, and Herb Clark were the first completers of that list. Just depends on whether or not you count those. So which ones do you have left? I did my first ones in the Prezzies in 1996 and hope to get my last two on Owls Head and Isolation in early October - a 20 year project from southwest Virginia. God, I love the Northeast mountains! I actually have been up more peaks in New York than in any other states except Virginia and North Carolina. And New Hampshire and Maine come in at numbers 6 and 7 after Tennessee and West Virginia. There's nowhere I'd rather be in the Fall than up your way! Hi Rick! Yes I do know the whole deal with the 111/115. 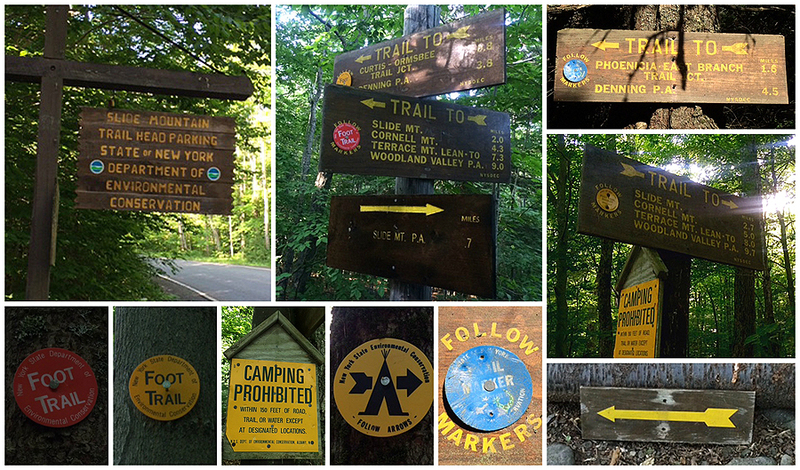 When I hiked the 46r in 2011 I found out all about the sub 4000 footers on that list. I have Saddleback, Horn, and the Bigelows in Maine left. No rush to get them completed but probably will hike them soon. Good luck on your last two, I really like both of those peaks you have left, very remote. I just did a crazy Isolation through to Owl's Head in one day last month! I saw that you did that. A beast of a day. Very impressive! A buddy and I are going to work on adding several new peaks to our Adirondack/Catskill Firetower Challenge at the end of September, then head into the Whites for Owls Head and Isolation, then a few more 4ers he lacks in the Whites, though not quite all of them. Also a few NEHH like Nancy, Vose Spur, and Sandwich. Really looking forward to Isolation! Your remaining four are also exceptional! Sounds like a cool trip up to the Whites! Have a blast finishing up and going to those lesser traveled peaks!! There is a water crossing right at the start of the trail that could be tricky after heavy rain but other than that there's nothing to worry about. Enjoy your hikes, I really liked both Slide and Hunter!